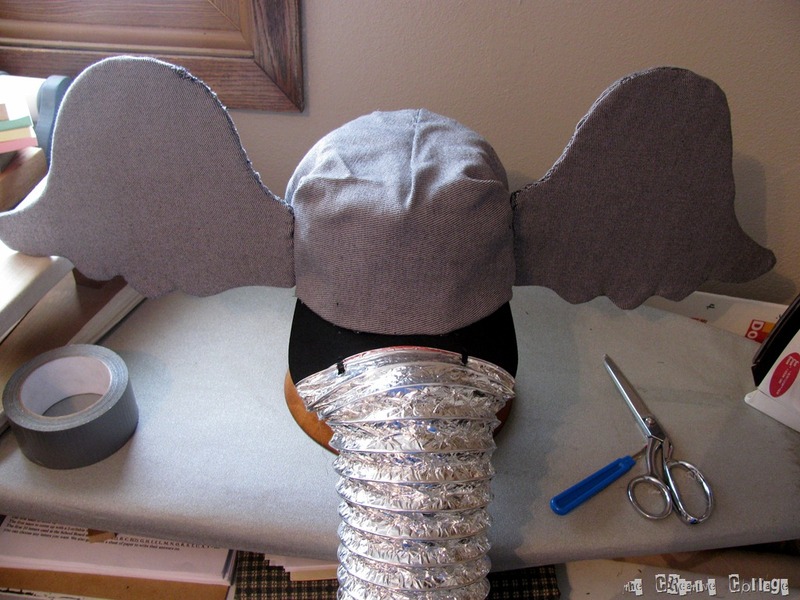 Dr. Seuss Horton the Elephant Hat Tutorial | Welcome to the Creative Collage - Come In and Stay Awhile! Last week Friday, the kids kicked off their reading month with a dress up day. 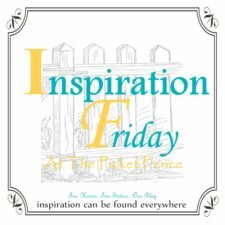 The assignment – dress up like one of Dr. Seuss’ characters. My youngest went as Thing One decked out in a yarn wig. 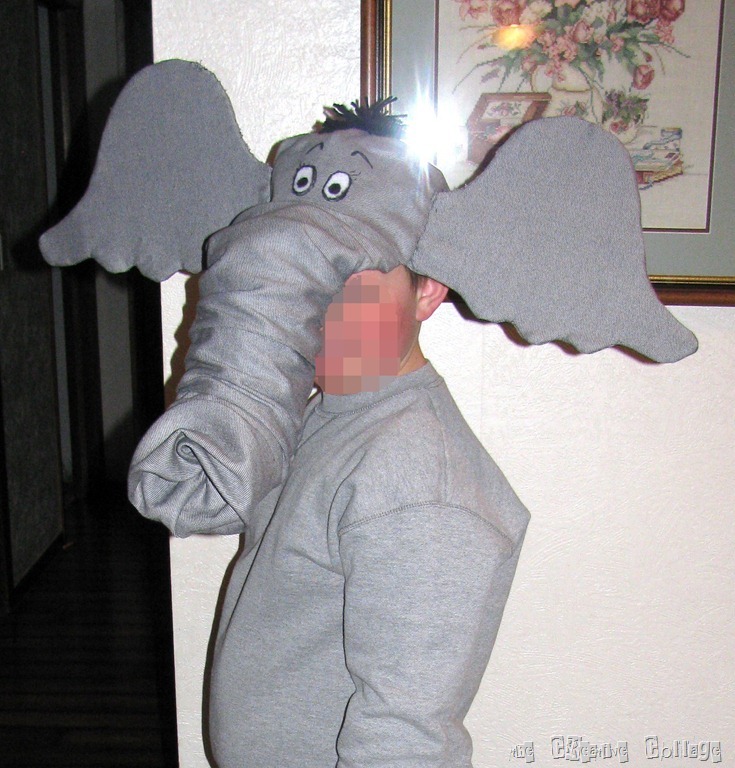 My oldest son wanted to to be Horton the Elephant. Not asking much, was he?!??!?! Especially considering it was Wednesday night, so that gave me one day to get it together! Well, step one is to always consult my number one idea girl – Sally. This would be Sally the Smartie – my computer. Yes, I just named my computer. I think I am a little delirious from lack of sleep. My husband got me up at 4:30 and needed help pulling a calf out in the hoop barn. This consists of getting dressed in coveralls (snowpants for you city gals! ), coat, hat, gloves and boots. Running out to the barn, grabbing chains and hooks and being the assistant – “Chain, please”, “Hook, please”, “Chain, please”, “Hook, please” – “PULL”. Followed by tickling the calf’s nose and trying to carry a slimy, slippery, kicking calf to a clean pen, putting the mother with him, filling out paperwork and cleaning up the tools. After all that, it is rather difficult to fall back to sleep, so that was pretty much the end of my sleep. I guess I should’ve gotten to bed before midnight. Sooooo – anyway, now my computer will have the dubious distinction of being named Sally. Don’t know where it came from, just the first thing that popped up. I do spend quite a bit of time with her and we have gotten to know each other pretty well. 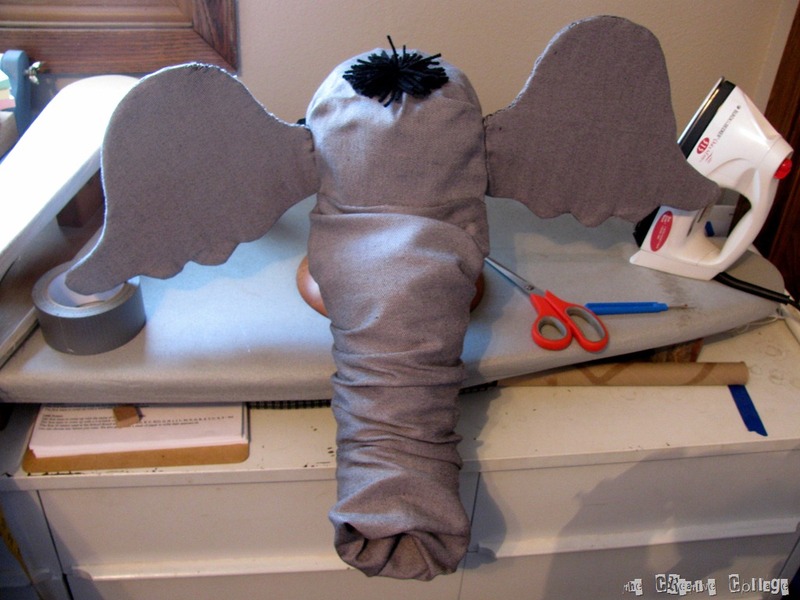 Back to Horton – I got online and found a few different ideas for doing an elephant costume. I actually ended up using a couple different ideas and combining them. Mostly because it made it easier for my son to remove all the parts at one time during classes. Sorry for the horrible flash glare in the picture! This started out as a regular billed hat. We have a ton of these lying around. It seems like all the elevators etc. that we do business with on the farm hand out hats each year. That adds up to WAAAAAYYYYY too many hats. I was rather glad to ‘sacrifice’ one for this project! 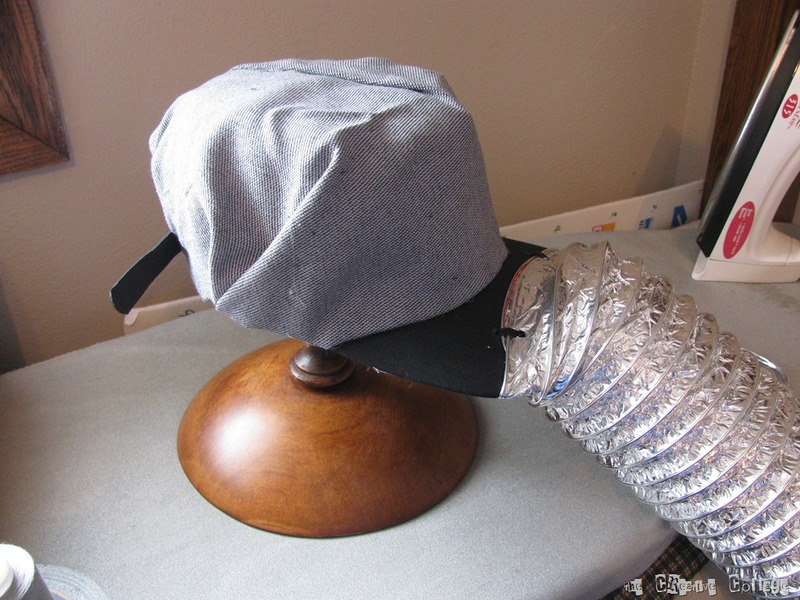 First my husband helped me connect the dryer vent piping to the bill of the hat. We drilled 4 holes through the bill and used plastic zip ties to hold it together making sure we caught the wire in the venting. This became the trunk. I saw one site that used this idea but put elastic on it so it could be worn over the nose and mouth, but then you would have a couple different things to deal with and I didn’t think that would be real great throughout the school day! 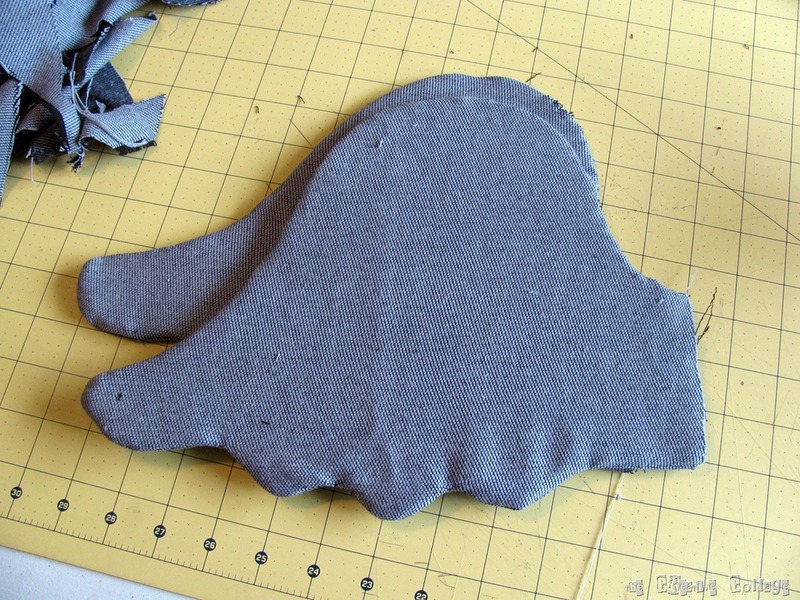 I found some gray material and just used hot glue to attach it to the top of the hat. I left the adjuster in the back out so that it could be worn be anyone over the years. You never know when you’ll need something like this! Next came the ears. I found a picture of Horton and just tried to loosely follow they looked like. I made sure that the part that would be attached to the hat would be the same height as the side of the hat. I traced a paper, cut 2 pieces sewed them together partially, inserted cardboard and finished sewing by hand. I then attached them to the hat, sewing by hand once again. So that left covering the trunk. I cut a piece that was a little wider than the circumference of the piping and made it plenty long. I tapered it out to a little wider to help cover the bill which was wider than the piping. I decided that I wanted to keep the top of the trunk curved up, so I took some yarn and tied the ribs together on the top side. 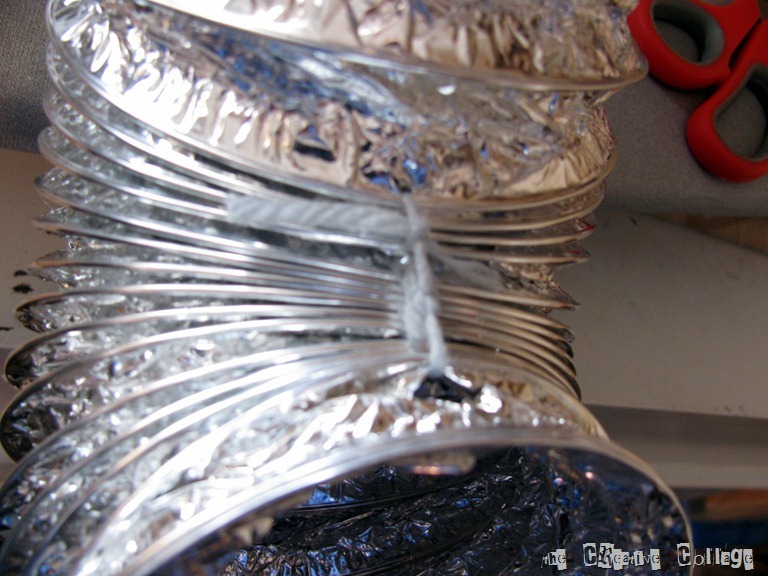 I used an awl to punch holes in the foil of the piping to run the yarn through. 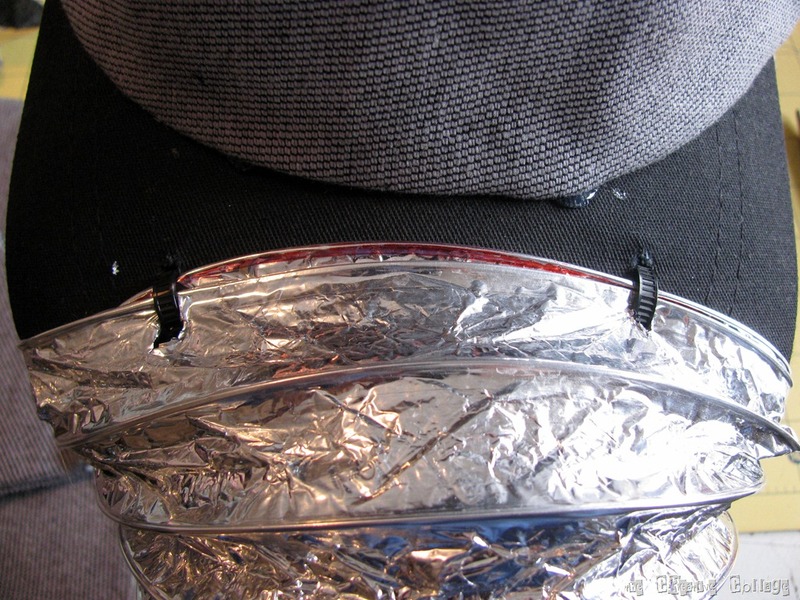 Then I slide the tube over it and used hot glue to attach it to the rest of the hat. I sewed the end loosely and wrapped it around the end wire of the piping to keep it in place. I also added a little yarn hair pom-pom to the top with hot glue. The final steps included adding some white felt for eyes. I just used a sharpie marker to draw on the outline and eyelashes and eyebrows. My son was so excited to wear this to school and he had a great day! This entry was posted in DIY, Miscellaneous, Sewing, Tutorial and tagged Dr. Seuss, Horton the Elephant by Jo at theCreativeCollage.wordpress.com. Bookmark the permalink. OH MY GOODNESS! This is unbelievably cute and creative. I love it! Looks fantastic! Better than the costumes being sold. Wish I could buy one of yours! My ears keep flopping back. They won’t stand out straight. Any suggestion? This is fantastic! 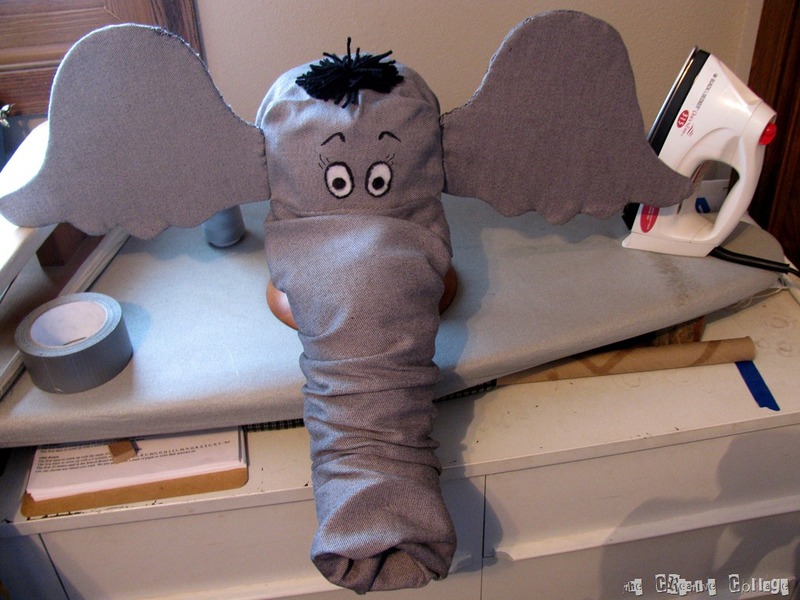 Perfect for anyone who wants to make their own elephant hat that is something unique and special. I will have to give this a go soon, though I don’t think mine will look as good as yours.